Canyon Creek offers a quiet retreat after a day of fun in Steamboat Springs. This unit enjoys a shaded balcony surrounded by mature trees. The living room includes leather seating, a large flat screen television and a warm fireplace adorned with natural stone and beam mantel. The raised ceiling cutout and accent lighting give this unit an airy feeling throughout. In the kitchen youâll appreciate the quality granite counters, natural wood cabinetry and breakfast bar. The master bedroom comes furnished with a king size bed laid in a rustic country cottage frame. The second bedroom offers a comfortable sleeping quarters and adjacent bathroom. Step out to the covered outdoor space to enjoy our Steamboat weather and secluded seating. As an owner at Canyon Creek, you and your guests will relish the outdoor heated pool, hot tub, fitness area, underground heated parking and private shuttle. 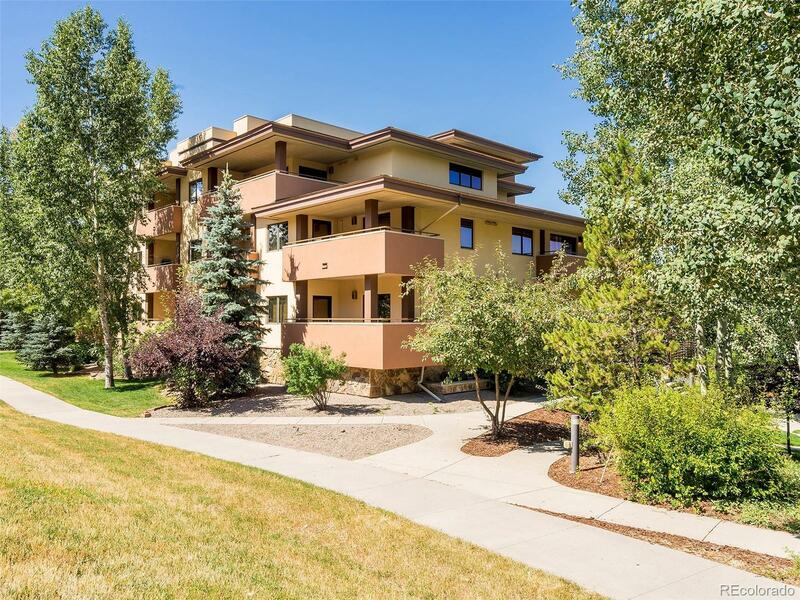 Within a block to Steamboatâs world-class resort, this is an ownership opportunity not to miss.